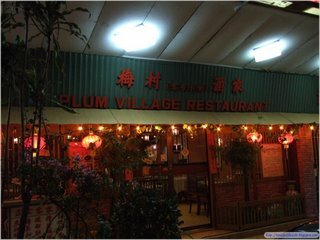 After catching the funny "Rob B Hood" at Tampines Mall on Sunday night, we rushed to Plum Village Restaurant along Upper Thomson Road for dinner. The last time we wanted to try it out, it was packed with people. It was close to 2115hrs when we arrived and the waitress promptly informed us that the last order would be at 2130hrs, but we could eat for as long as we wanted. The exterior of the restaurant was constructed to mimic a bamboo hut from olden China. The fake bamboo shoots placed at the entrance added to the realism. 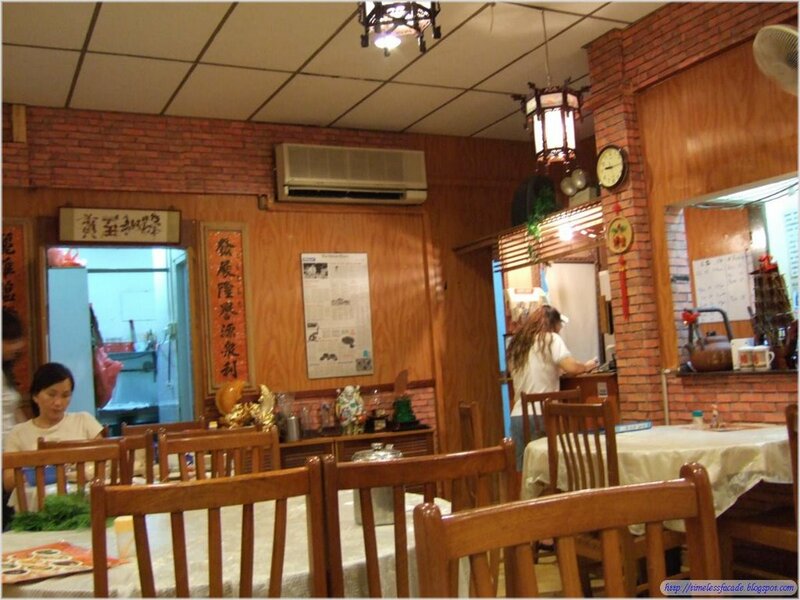 Inside, it was very oriental and cosy, with Chinese calligraphy works displayed on the walls. The restaurant was small, with only a grand total of 10 tables. 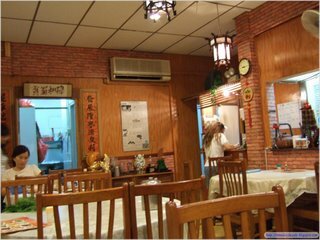 A friendly waitress took our orders of Mei Cai Kou Rou and Special Tofu, both apparently one of the few signature dishes of the restaurant. 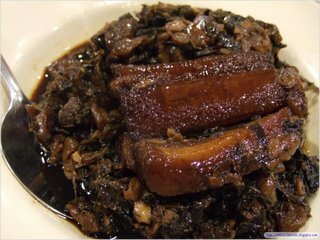 I've never tried Mei Cai Kou Rou before, so it came as a surprise that the Mei Cai was a little sweet instead of the usual saltiness that I associate with Mei Cai. It was something different, to me at least. 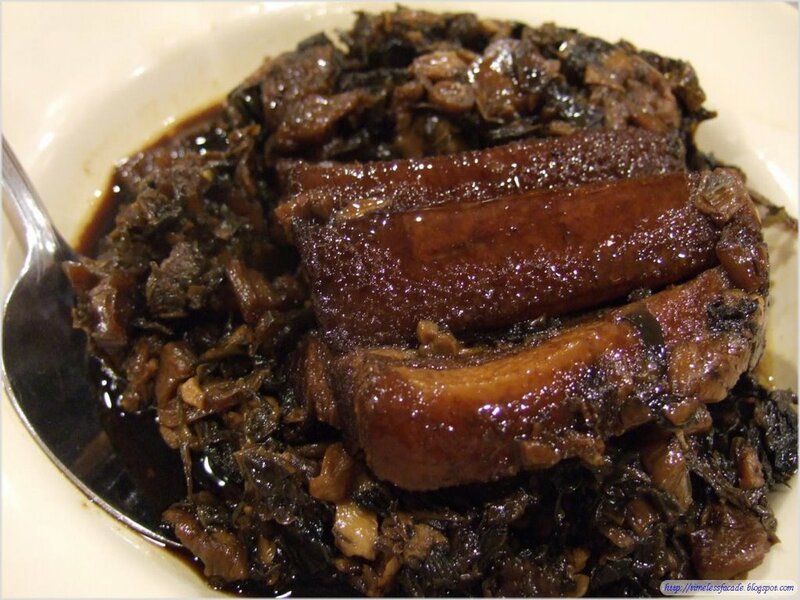 The Kou Rou was thick with a few layers of meat and fat and tasted decent. 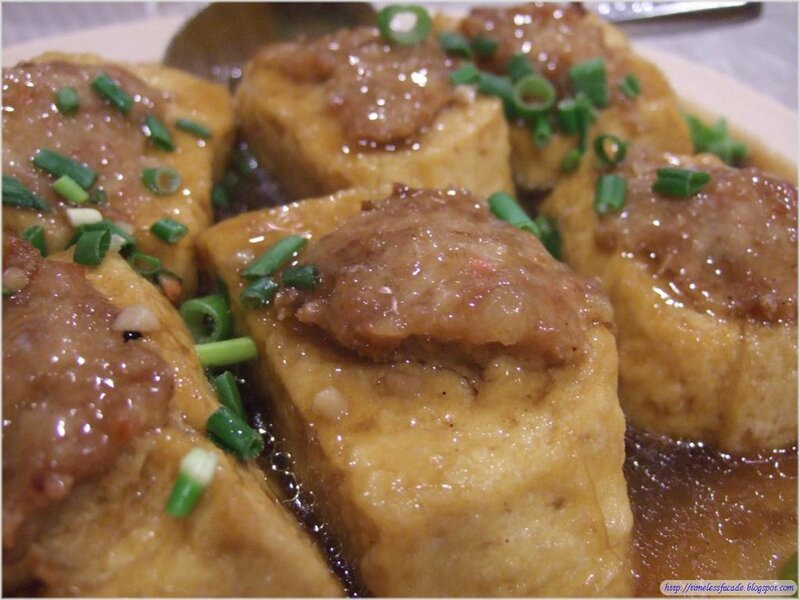 The tofu was of the rougher genre, typically called "Dao Gua" or "Dou Gan". It was stuffed with meat in the middle and was nothing special really, but I like the gravy that came with it. 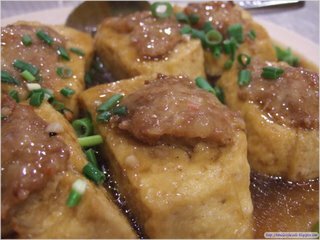 It was a little peppery and very salty when consumed alone, but when eaten with the tofu, the saltiness was toned down and it made for a nice combination. Overall, the bill was just shy of $20, inclusive of taxes and other stuff like towels, peanuts and others. Expensive? No way. Cheap? Relatively. Food wise is ok, based on the limited number of dishes that I've tried. (I've tried their salted chicken before and it was really salty, but hey, it is supposed to be salty.) 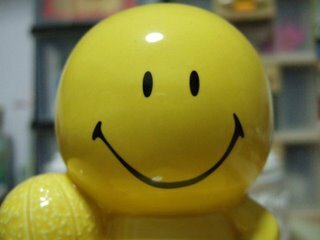 Honestly speaking, if I am in search of cheap and simple home cooked fare in a quiet environment (uncomfortably quiet in fact, due to the small enclosed area and if there are no other patrons around), I'll be back. Other than that, I think not. Address: Jalan Leban, off Upper Thomson Road.